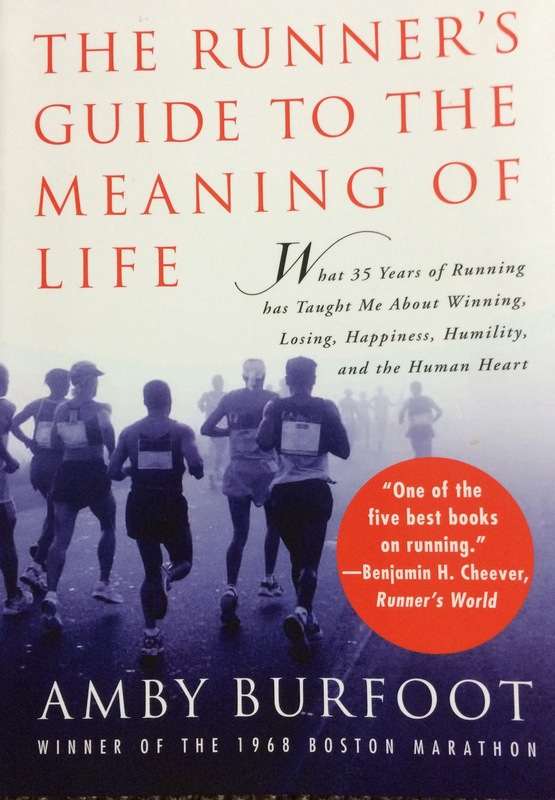 The Runner’s Guide to the Meaning of Life was written in 2000 by Amby Burfoot, winner of the 1968 Boston Marathon. I bought the book because it appeared on the Amazon list of the 25 bestselling books on running. It is only available in print not in e-book format. Most of the other books in the list were about the mechanics of running or preparing for a race. I put myself in the fairly seasoned runner category and so now I don’t really go for the how-to books anymore. 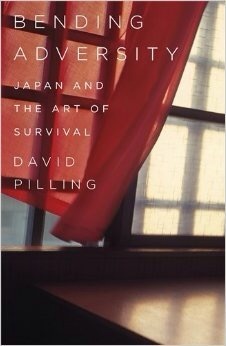 And having read Murakami Haruki’s What I Talk About When I Talk About Running, I wanted something more autobiographical. The version of the book that I bought was adorned with only one testimonial. I am used to seeing at least five or six on the cover, in the inside jacket and on the back cover. So the marketing of this book is somewhat understated. The book’s only testimonial appears on the front cover on one of those mock stickers: by Benjamin Cheever of Runner’s World, who describes it as “one of the five best books on running”. I’m sure that with a guy as well connected and respected as Burfoot, Skyhorse Publishing could have found a different or even a more inspiring testimonial. The big problem is that Cheever is a colleague of Burfoot’s. So hardly an unbiased endorsement. He covers why humans run (because it’s natural and doesn’t require any skill), and how life is about beginning new things all the time (the starting line of a race is a proxy for overcoming the fear of starting new things in life). Burfoot then goes on to discuss connections and networks. He obviously has great running groups and many friends that he runs with. He also talks of the deep conversations he has had while running. Being an introvert, running for me is a solitary activity. But I can definitely see the benefit of group running in pushing one another to go faster. So why didn’t Burfoot get some of these people to write a testimonial then? Burfoot is a winner. He won Boston in 1968 and set his fastest ever time (2:14:29) in Fukuoka, Japan later the same year. Now that he is older, he sees the other side: how most regular runners feel. One of the great benefits of running is that it teaches us to value the individual–our self. We run a race with 75,000 others, but we’re primarily concerned about our own outcome. For us foot soldiers, we are in it to beat one person: ourselves. In our hearts, if we beat our target or get a personal best, we know we have won. Winning is not about headlines… It’s only about attitude. A winner is a person who goes out today and every day and attempts to be the best runner and best person he can be… Winning is about struggle and effort and optimism, and never, ever, ever giving up. He doesn’t just talk about winning. He addresses the other side of the coin too. It’s a cliche by now that in order to succeed we must first encounter failure. Burfoot talks about missing out twice on qualifying for the Olympics. In hindsight he was able to go on and achieve in different areas. I have learned that there is no failure in running, or in life, as long as you keep moving. It’s not about speed or gold medals. It’s about refusing to be stopped. The more meetings I attend, however, the more I believe that something crucial is being left out. Yes, it’s important to listen to everyone around you. But it’s even more important to learn how to listen to yourself. Whether a decision is purely personal or involves dozens or even hundreds of others, you alone are the only person who has to make it, and you can only do it after listening to your own internal monologue. Good advice. Running is definitely my thinking time when I resolve some of the issues of the day. I run with music, but find that when I am deep in thought, I don’t even notice the music. I might try to run from time to time without music. My biggest takeaway from the book is the importance of mentors – both learning from those who come before us, but also passing wisdom and knowledge to the generations that follow. Unfortunately, this author really didn’t get through to me in the same way that other writers have done through their prose. I was really hoping that Burfoot would get to one kernel of truth by the end of the book: he promises the meaning of life. Sadly I was disappointed. If this is one of the top 5 books on running, the bar is pretty low.